After missing last week we’re back with another round of Hot Takes for you to sift through while you recover from your Fourth of July festivities. 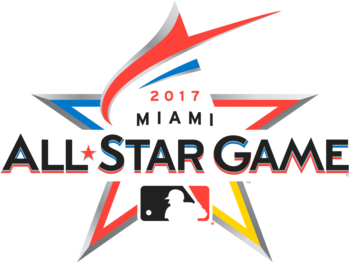 On Sunday evening, MLB aired a special reveling the 2017 All Star rosters for each league. And I cared even less this year than I ever have before. A lot of people didn’t like that the winner of the ASG got home field advantage for the World Series, and MLB got rid of that this year and in doing so made the game completely irrelevant. (You can read Justin’s take here.) Add to the fact that the Starters is just one large popularity contest because of Fan Votes and you have a maddening process. Mike Trout has been injured since early May, but apparently has done enough this season to warrant being named a Starter? I think not. But he’s probably the most popular outfielder in the game today (admittedly for good reason) so he’s in. Last years NL MVP? Relagated to the Final Vote, the awful tradition of telling 5 players from each league “Hey, we think you’re good enough to play in the ASG but we only have room for one of you so let’s choose by way of popularity contest.” I’m not saying Kris Bryant deserved to start this year, as Nolan Arrenado is having an amazing season thus far, but I would take Bryant over Jake Lamb any day. There was however one bright spot in all the announcement. The two hottest hitting rookies I can remember in quite a while are set to face off in the HR derby. It’s a matchup compelling enough to make me tune in. Each rookie leads his league in HRs so far, though Bellinger is tied with Joey Votto in the NL as I write this. They play for arguably the two biggest clubs on the planet. Arron Judge has been hitting the ball so hard he’s broken TVs in Yankee Stadium’s concourse and his last HR dented a metal railing 465 feet away from home plate. That alone gives the meaningless Derby some excitement but if both he and Bellinger can manage to make it to the final round, MLB might actually have an interesting storyline for All Star Weekend. This past weekend you may have noticed that your favorite team donned special Red, White, and Blue themed jerseys. If it seems like MLB has more special edition jerseys this year, you’d be right. 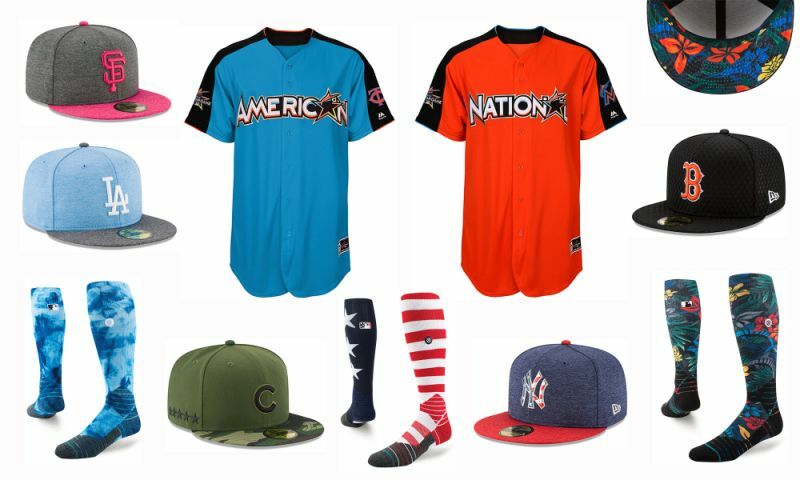 In years past we’ve had the Jackie Robinson day where everyone wears 42 (this is my favorite thing MLB does every season), some pink accessories for Mother’s Day, and a patriotic theme that was used for both Memorial Day weekend and Fourth of July. There has also always been a special All Star Game getup. This year however we have had the Jackie Robinson 42 jerseys, jerseys with Pink numbers for Mother’s Day, Baby Blue numbers for Father’s Day, a olive green camo get up for Memorial Day, the Stars and Stripes get up for the Fourth, a jersey for ASG Workout Day/HR Derby and one for the ASG itself. This doesn’t include individual teams throwback jerseys and the Gold Collection jerseys worn by the previous season’s Champions. That’s a ridiculous amount of special jerseys and a blatant cash grab. It’s approaching Minor League levels of absurd without the fun and creativity of the Minor League jerseys. All that said, if MLB is going to continue down this road there is one more special edition jersey I would like tho see added: a Pride jersey for the last weekend of June. The trade deadline is quickly approaching. And I think it’s going to be an interesting year as some big name players are on teams that are clearly in sell mode. The Tigers have reportedly said that they’re listening to trade offers on practically everyone. JD Martinez is probably as good as gone and they’re even willing to eat money on Justin Verlander’s contract if the deal is right. (That sentence was very painful for me to type). Joey Bautista, Marco Estrada, and Fransisco Liriano are all said to be available from the Blue Jays. Sonny Grey, Addison Reed, hell Andrew McCutchen may all end up wearing new colors by next month as teams look to make a Postseason push or start to rebuild. QOTW: DO YOU LIKE SPECIAL EVENT JERSEYS? ARE THERE ANY YOU WOULD LIKE TO SEE ADDED? The Turf Writer’s Duel: Ichiro, Beltre or Beltran?